Several options are available to mesothelioma suffers and their families in Canada.. The ASBESTOS COMPENSATION TRUST FUNDS have been established to compensate the victims of asbestos disease (and their families). Canadians can qualify for compensation and there is no court action, and no legal fees or costs are payable if compensation is not recovered. These Trust Funds have been created by former manufacturers and suppliers of asbestos to meet their liabilities in the place of court action. There is in excess of $30 Billion available to compensate victims, and claims can be made quickly and with very little inconvenience to the injured person. If your exposure occurred at work in Canada, then you may be entitled to make a claim for Workers Compensation Benefits. Each Province has laws that apply to "workers" who suffer from asbestos related disease. To qualify for compensation it is necessary to satisfy the relevant Workers Compensation Board (WCB) that you were exposed to asbestos during the course of your employment, and that your disease is related to asbestos exposure. If the exposure to asbestos occurred in another country, such as the UK or the USA, it may be possible to make a claim in that jurisdiction. We work with lawyers in the UK, Australia and USA to assist people to make claims for compensation for this exposure. If you have been exposed in another country then you should get advice about your rights before you file a claim for workers compensation benefits. Why don't Canadians receive compensation? The text bellow is for desktop view! If need to edit it... Do Not forgot to update the text for mobile view too - should be always the same. Also do not remove or reposition this element! Many people in Canada are exposed to asbestos away from work (e.g home renovations, cleaning the clothes of a person who worked with asbestos), in another country, or have their claims rejected by the Workers Compensation Board, and think there is no compensation available to them. Other clients may not even know how they were exposed as they are not aware of all the products that contain asbestos. This is where we can help. We look at all possible sources of exposure - at work, at home, or through another person who worked with asbestos, and then provide you with advice about your rights. Canadians can qualify for compensation and there is no court action, and no financial risk, as legal fees and expenses are not payable if compensation is not recovered. The process is fast and we keep it simple for you. The only thing you need is the right guidance from experienced lawyers in the field to achieve the best outcome. Do not hesitate to contact us for free advice. Mr R was exposed to asbestos over a 15 year period from the mid 1950s to the late 1960s when unloading bags of asbestos from railway cars when working for CPR. He developed mesothelioma and filed a claim with the Workers Compensation Board. This was denied as he could not produce documents to prove his employment with the CPR. Mr R was able to identify a number of the different bags that he worked with, and claims were made with the Trust Funds connected to the companies who supplied the bags of asbestos. Mr R's family has succeeded in obtaining compensation from several Trust Funds and more claims are still being evaluated. Mr M was 84 years of age when he was diagnosed with mesothelioma. As a single man he decided against making a claim with the WSIB as he had no spouse to receive a WSIB pension once he passed away. He elected to make a claim with the Asbestos Trust Funds and was able to claim against more than a dozen Trusts based on the products he worked with and around during his 15 years at the steel plant. He wanted to provide for his grandchildren through the Trust settlements and managed to recover a sizeable amount of compensation from the Trusts. Mrs G was diagnosed with mesothelioma after washing her husband's asbestos-covered overalls in the 1960s and 1970s. Her husband worked in the construction industry and regularly cut asbestos sheeting, installed asbestos insulation in ceiling spaces, and used joint compound on plaster sheets. Mrs G was not eligible for Workers Compensation Benefits as her injuries did not arise in the course of her work. She was able to make claims against a number of Asbestos Trusts based on exposure to various products that she could recall. Mr C worked as a builder for many years, working on the construction of new houses and shops, often involving asbestos building products such as sheeting, drywall compound and roofing materials. He also removed existing walls, ceilings and roofing made from asbestos. Mr C was diagnosed with mesothelioma in 2013 as a result of this work. He has been successful in claims against a number of the Trust Funds created by the suppliers of the products he worked with. Mr P was only a young man when he started working with his father, helping him to install asbestos sewer and water pipes. He worked with his dad over a few summers in the early 1970s and his exposure to asbestos was limited to cleaning up the offcuts after the tradesmen had cut the asbestos pipes. Mr P contracted mesothelioma in 2013. Claims have been made against the manufacturers of the pipes that he worked with. Mr F worked in the shipyards in the UK before coming to Canada at the age of 30. He was exposed to asbestos in that job when carrying out repairs on the ships involving the use of asbestos insulation. 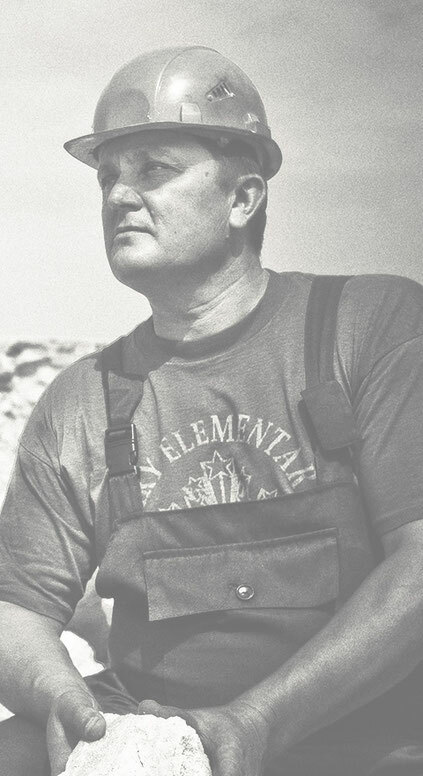 In Ontario he worked in the power stations and had further exposure to asbestos. He developed mesothelioma in 2013. Mr F was able to make a claim in the UK against his employers, and obtained compensation for his medical expenses, home help, and loss of income. He also obtained compensation from the Trust Funds for his exposure in Canada. Mr E was a teenager when he got work over the summers of 1967 and 1968 unloading asbestos pipes and bags of asbestos fibre at the rail depots in Vancouver. Despite only working with asbestos for a total of about 10 weeks over two summers, he contracted mesothelioma. Claims have been successfully made on Mr E's behalf against the companies whose products he unloaded in the course of his work. Mr H was only 17 when he left home to join the Navy. He served for 5 years and travelled the world on a number of ships. Despite never working with asbestos directly, he contracted mesothelioma in 2013. This was due to working below deck when other tradesmen were carrying out maintenance and repair work on the ships. Mr H has successfully claimed against a number of the manufacturers of the asbestos products that were used on the ships. He is now pursing a DVA claim as well. Mr B worked at the Holmes Foundry in Sarnia in the 1950s for several months over one summer. He worked in and around other people handling asbestos. In 2013 he developed mesothelioma and filed a claim with the WSIB. This claim was rejected on the basis that Mr B had no documents to show he worked there over 50 years ago! This was despite his brother providing a signed statement to confirm that he worked alongside him at the plant. Mr B did not have the strength or the time to appeal the WSIB decision. We pursued claims against the Asbestos Trust Funds for him and successfully recovered compensation from a number of the Trusts. Mrs A's husband and son worked as electrical maintenance fitters in and around the Port Dover region in Ontario. They came into contact with asbestos when working in boiler rooms, around lagging and when cutting into asbestos sheeting during renovation work on houses. Mrs A regularly washed their overalls when they came home from work. In 2013 Mrs A was diagnosed with mesothelioma. She had no entitlements to compensation with the WSIB. We represented her in several successful claims against the Asbestos Trust Funds. Ms G worked at a hospital in Alberta in the late 1980s, and had bystander exposure to asbestos when extensive renovation and construction work was carried out on the hospital. She was diagnosed with mesothelioma in 2013. A claim was made with the WCB and material submitted in support of the exposure to asbestos being caued through the renovation work. The claim was accepted by the WCB and benefits paid to Ms G for her medical expenses and loss of income. Mr P worked in the shipyards in England before coming to Canada in the late 1970s. He had extensive exposure to asbestos in the UK and developed mesothelioma in 2012. A claim was made on Mr P's behalf in the courts in the UK, and was successfully resolved in his favour for a significant sum. Mr M worked at a University for 30 years as an administrator. He was exposed to asbestos when he was working in areas where tradesmen were handling asbestos while carrying out maintenance and repair work on the University buildings. He also had exposure to asbestos at home when he did some renovations of his cottage using asbestos sheeting and joint cement that contained asbestos fibre. In 2012 Mr M was diagnosed with mesothelioma. He did not have entitlements to WSIB benefits as the WSIB would not accept that as an administrator he had exposure to asbestos. For his home exposure, there was no WSIB claim as the WSIB does not cover exposure to asbestos away from work. We successfully obtained compensation from a number of Asbestos Trust Funds for Mr M.
Mrs M's husband served in the Royal Canadian Navy in the 1950s as an engineer. He was exposed to asbestos when working below deck carrying out maintenance and repair work on the ships, where asbestos lagging was used on pipes, boilers and other equipment. Mr M was diagnosed with mesothelioma in 2008 and passed away in 2010. Despite numerous attempts to recover compensation from the Department of Veterans' Affairs, the claim was rejected. We filed claims against the Asbestos Trust Funds and have succeeded in recovering compensation from a number of these Trusts. Canadians can qualify for compensation and there is no court action and no financial risk, as legal fees or not payable if compensation is not recovered.